It is still very helpful and important to thoroughly investigate the mars surface by high-resolution optical remote sensor, although there have been some forthgoers such as the High Resolution Science Imaging Experiment (i.e. HiRISE) on Mars Reconnaissance Orbiter. Based on the requirements of the planned MARS exploration mission in China, a high resolution optical camera has been designed, manufactured and assembled in Beijing Institute of Space Mechanics and Electrics (BISME) recently. In the paper, the concept design about the camera was reported. The background of Mars observation was briefly overviewed firstly, especially for the high-resolution exploration. And then, the major technical requirements in the plan were listed for high resolution camera. In order to meet the requirements, it is necessary to keep the camera more light-weighted and more reliable. Therefore, several effective schemes were adopted such as the compacted optical system form, the advanced ultra-light-weighed materials, the optimization configuration and the integrated electrical device design, etc. 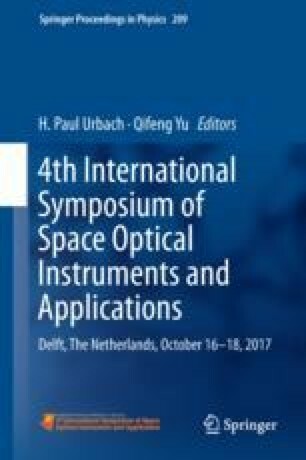 The designs of the optical system, structural configuration and electrical scheme were introduced with some simulation results. A prototype camera was manufactured and tested. Experimental results showed that the camera had excellent performance and reliability which can satisfy the mission demands. It should be noted that with proper modification the optical camera can be applied in many other fields such as Earth observation.